Water damage from flooding, burst pipes, snow, or even standing water requires the need for an experienced, professional team to address the damage. 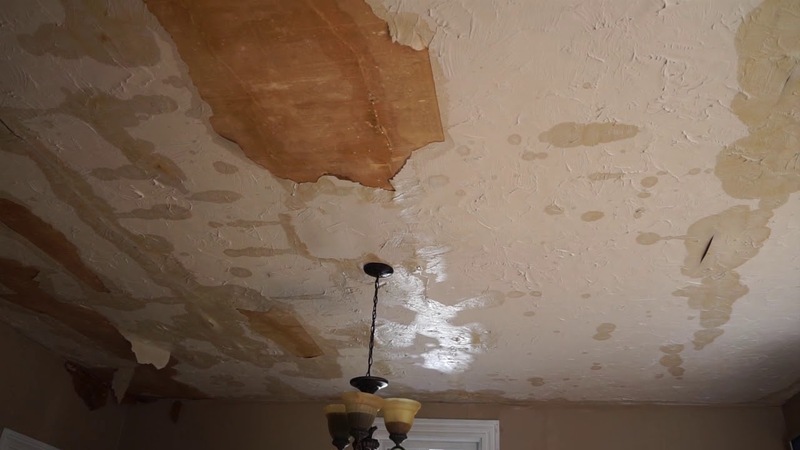 Water damage in a home or business requires more than just drying the area. A thorough evaluation of the substructures of a property is required to ensure that the flooding doesn’t continue to deteriorate a home. At Duckstein Restoration, we have decades of experience in water restoration, highly-trained professionals, and a passion that’s second-to-none to help you overcome even complex water damage issues, restore water-damaged property, work with your insurance company, and get your home or business properly restored. When it comes to industry rewards, there’s really nothing more coveted than the Nationwide Blue Hammer Award. This is given to just six companies per year, one for each region of the country, and the requirements to not only qualify but to win the award are remarkable. In 2018, Duckstein Restoration won the award, making it a Pittsburgh first. We won against companies from all of the Northeast, including those in Pittsburgh, Boston, New York, and everywhere in-between. If you’re looking for a company who will go the distance when it comes to your restoration services, you’ve found us–and we can prove just how hard we’ll work to be the best in the industry. Our expert, in-house crews are equipped to take on your water restoration right away. We’ll assess and completely remedy your flood damage and any related moisture problems. We’ll also help you prevent, repair, and remove mold growth, damage to the structure and substructures of your property, repair and protect your belongings, and restore what might be otherwise lost hardwood floors. • We’ll remove important and irreplaceable items immediately (same-day service), such as passports, financial documents, licenses, antiques, heirlooms, etc. We also provide additional services that may or may not apply to your specific situation. No job is too big or small for our crews. We’re available around the clock to quickly and efficiently address your water and flood damage problems. After trying the Ice Bucket Challenge with red wine, you may notice that you’ve done some serious damage to your carpet. After all, red wine isn’t on the top of the “easy-to-get-out” stain list. But don’t fear–Duckstein Restoration’s cutting-edge technology and commitment to a job well done can completely solve that problem, as well as thousands of other carpet stain problems that can occur due to flooding, damage within a home, fire, smoke, soot, chemicals, and so much more. We have now upgraded our technological weaponry to include high-powered, industry-leading thermal water detection cameras to an already advanced set of tools and experience. The new cameras, developed by FLIR Systems, Inc., allow our first responders to enter an emergency situation with the ability to detect water damage problems, hotspots in the home, structural defects, plumbing clogs, HVAC problems, and more. The technology allows one to virtually “look through walls and flooring” to capture the entire scope of water damage and identify all entry points that are causing the problems. In water restoration, completely drying and remediating an area damaged by water can be complicated. Water seeps and leaches into the smallest of cracks and holes, is absorbed by building materials (such as drywall), and can cross entire floors without the carpet showing any signs of water moving underneath. With the idea that wet building materials and personal property can start to grow dangerous amounts of mold within 24-48 hours, missing any of this water during the restoration process can open the door to greater problems in just a few days. By utilizing some of the world’s most complete thermal technology, our emergency responders can quickly and completely identify any and all water damage, allowing for the water extraction and drying process to start in much less time than traditional restoration companies can offer. Quickly addressing water damage increases the chance of saving more of your home and personal property. Virtually no water or moisture can go undetected with these cameras, which also lets our customers know for certain that the job is totally and successfully finished. It’s difficult to know who to call in the event of a water damage emergency in your home or business. We understand, we have the same difficulties with knowing who is best in other industries ourselves. With so much misinformation out there and everyone claiming to be the best, we’ve decided to pay for a third party service to collect reviews of our work so you can get an unbiased look at our performance from those we’ve worked with before. If you’re not sure who to call to handle your water or flood emergency, please feel free to browse our reviews gathered through an independent third party.